A very easy project this morning! 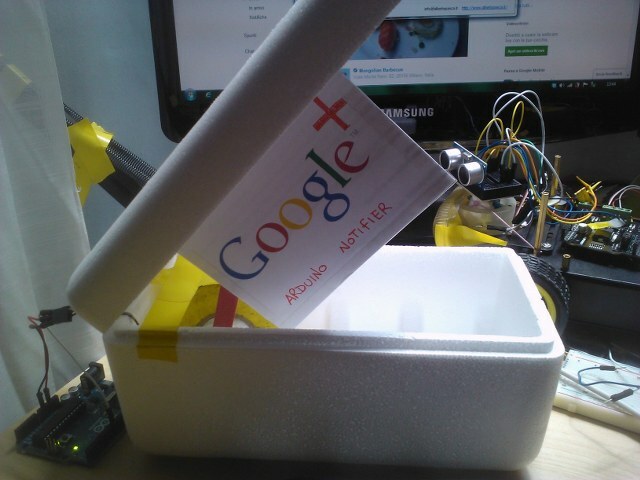 A robotic – automatic notifier for google plus with an arduino, a servo motor and an… icecream box! (plus.google.com)!